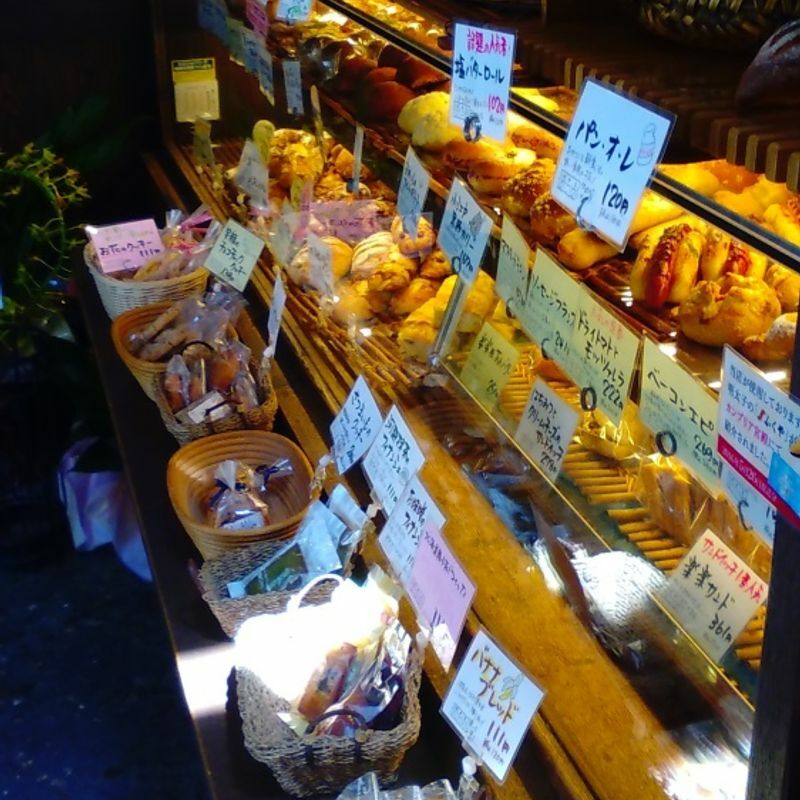 Near the quaint Sweet Street (aka Candy Alley) in the tourist district of Kawagoe is a famous bakery, acclaimed far and wide for its "clean" bread. 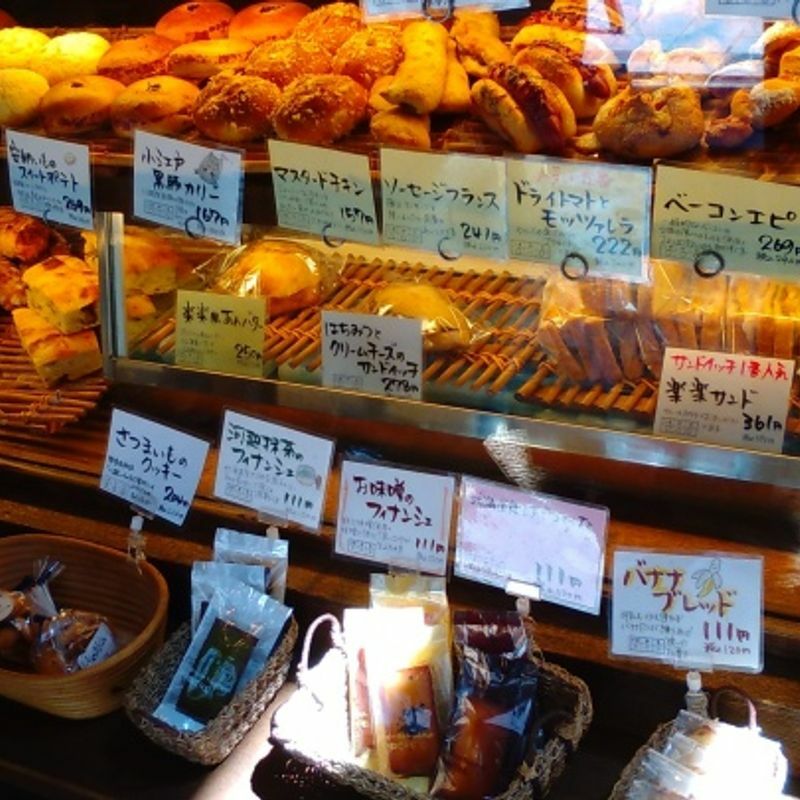 Using 100% Hokkaido flour, the bakery prides itself on offering bread, cookies, cakes, pastries, and pies that have no artificial additives, flavours or preservatives. Due to the absence of the latter in particular, their food is best consumed the day of purchase. 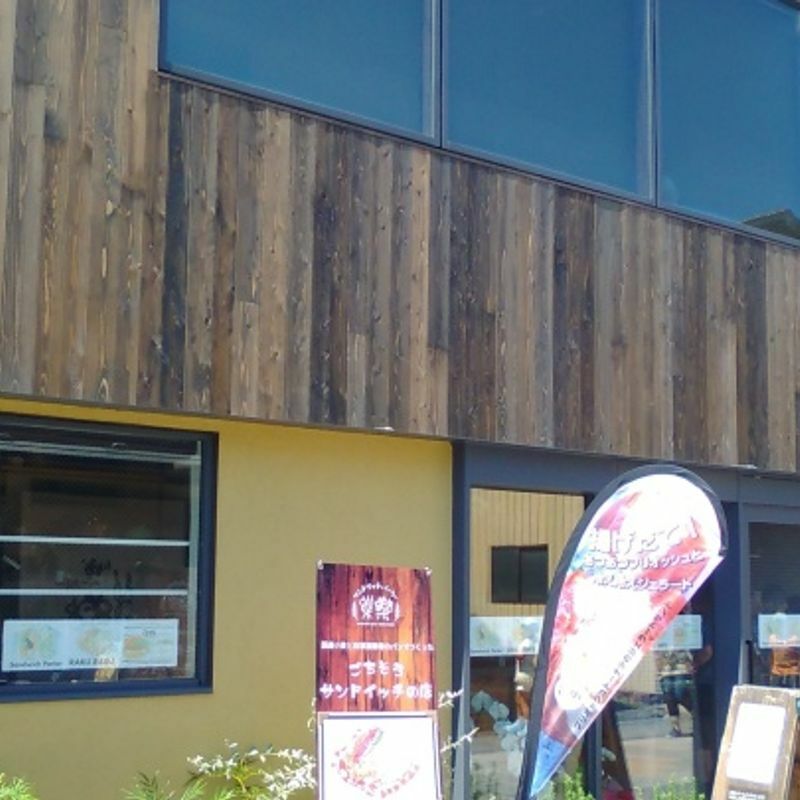 They have a fantastic selection of flour-based food baked in an oven and even have some dairy free goods, which are quite hard to come by in this area of Saitama. They have lots of fruit and vegetable flavoured breads and cakes. My kids particularly enjoy the melon pan and sweet potato bread. 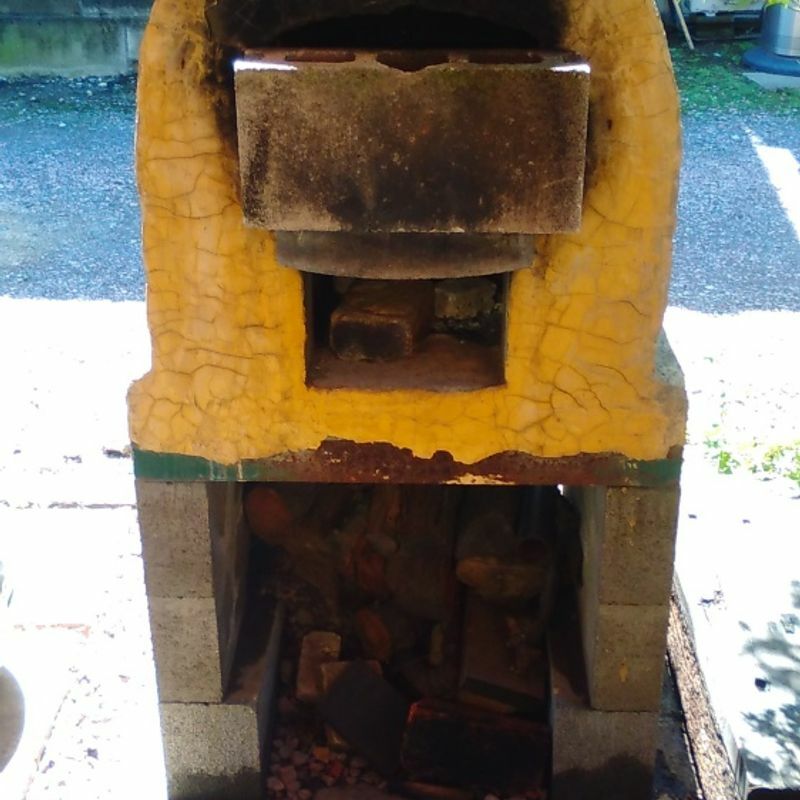 Most of their business is take out by locals and tourists, but you can eat your take out on site in the small garden at the side of the bakery. 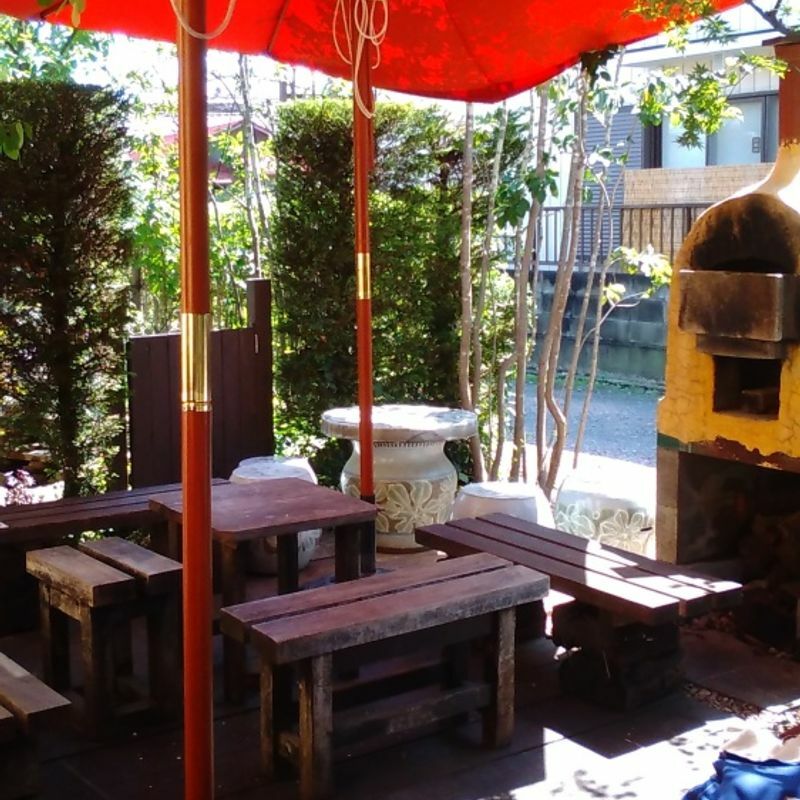 The garden has some wooden tables and chairs and is protected from the sun by groves and sun umbrellas. 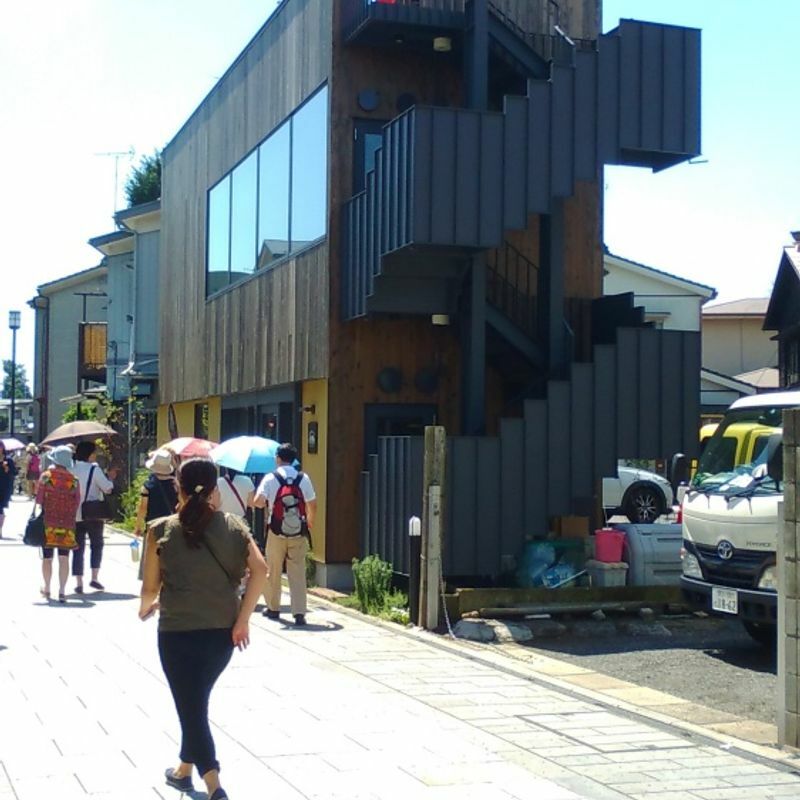 During this hot season they have a mist spray that cools the entrance to the bakery and the seating area, too. You can help yourself to complementary tea or coffee from self service machines. They are just little cups, but the coffee is quite good. If you prefer sitting in to eat, they have just opened a sandwich deli on the opposite side of the laneway. For purchases exceeding one thousand yen, you can receive a 10% discount with a Saitama Mama and Papas card. There is a little bit of English available in store. The bakery opens from 7.30 am to 5 pm seven days a week. On weekends it is not unusual for them to sell out of popular breads by early afternoon. The one and only car parking spot they had has been replaced by the sandwich deli! There is coin parking nearby. 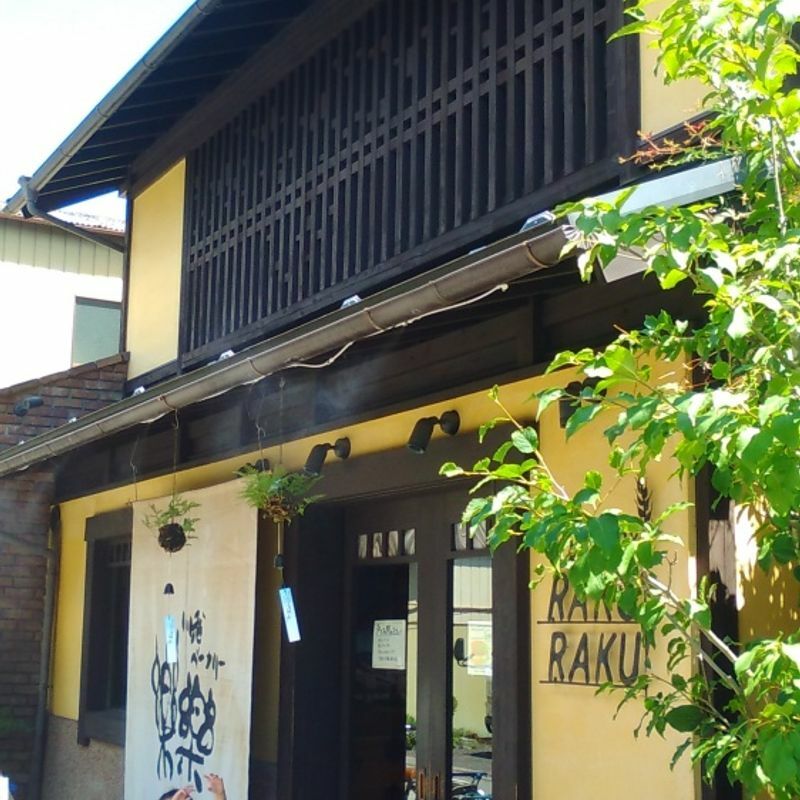 By bus, take a tourist or public bus to the tourist district and walk toward Kashi Yokocho (Sweet Street).